Hipsters are young people who indulge in independent thinking and progressive politics. They dress in a non-traditional style that's edgy and alternative compared to the masses. They enjoy mixing and matching trends that are regarded as being outside the cultural mainstream to produce individualistic and stylish outfits. 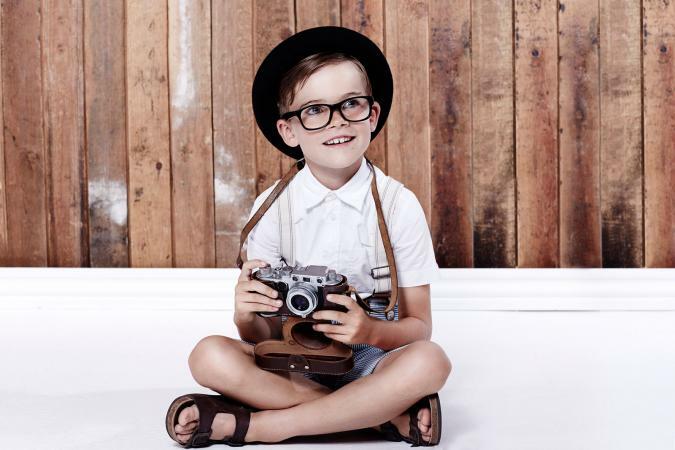 There are many places where you can find hipster clothing for boys if you know where to look. Spanish fast-fashion retailer Zara belongs to Inditex, one of the world's largest distribution groups. As well as offering trendy clothing for men and women, they also produce fun and distinctive designs for young boys and girls. You can currently buy their range in sizes 5 to 14 years at reasonable prices. 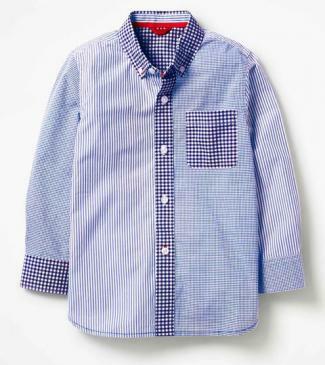 For instance, their Light Blue Printed Shirt features a chest pocket, button-up front, and short sleeves. The all-over print is quirky yet cute and would look ultra hipster when paired with skinny jeans or slim-leg chinos with a pair of glasses. It's available for $26 in sizes 5 to 14 years. Similarly, this Block Color Raincoat has an elastic collar, long sleeves, and zippered front. 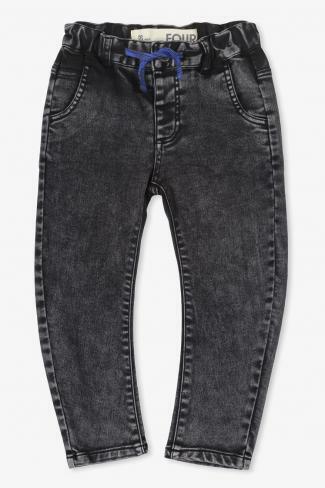 Available for $30 in sizes 5 to 14 years, it would make a serious hipster style statement when thrown on over a graphic t-shirt and slim-leg indigo jeans. Hipster Baby is primarily an online store that sells cool and funky clothing and accessories for kids aged 6 months to 6+ years. Each piece is full of personality and has been purposefully designed to start trends rather than follow them. In 2016, the brand opened their first brick and mortar location in Richardson, Texas. Their Mini Shatsu Blue Tuxedo Long Sleeve Shirt is undeniably unique. Hipster style is all about layering and this cardigan, shirt, and bowtie combo means you get three happening pieces for the price of one. It's currently available in sizes 6 and 8 for $32. 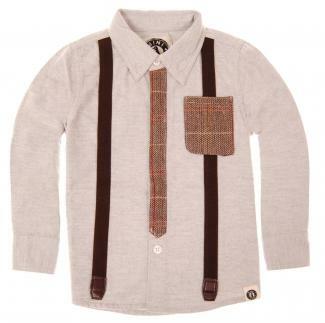 It's the same story with this Mini Shatsu Grey Long Sleeve Shirt featuring a built-in tweed tie, front pocket, and suspenders. Available in sizes 6M, 6, and 7, it would look impactful and fashionable when paired with black or brown chinos and over-the-ankle boots. Munster Kids was created from a love of surf, skate, and street culture. 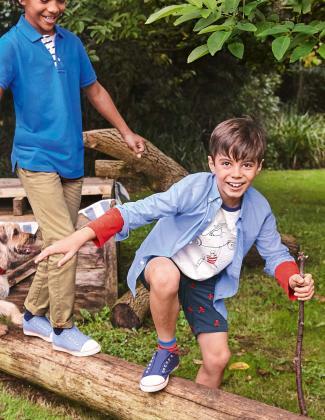 The aspirational brand is inspired by the urban legend of Mikey Munster and balances kid themes with adult styling to fulfill all the fashion needs of boys aged 0 to 14 years. For example, their $52 Tiger Stripe Trackpants feature an all-over tiger print and are made from 100 percent cotton fleece, which makes them super comfortable for everyday wear. Available in sizes 2, 7, 8, 12, and 14, simply pair them with a basic tank top and a black denim jacket for a cool casual look. Hipsters aren't afraid of being controversial, which is why they love a good slogan t-shirt. This "Get Lost" White Long Sleeve Tee costs $33 and is available in sizes 2 to 14. Tongue-in-cheek and playful, it produces a fashion-forward ensemble when teamed with camo-print cargo pants and a colorful beanie hat. Cotton On is a global fast-fashion retailer based in Australia. They currently trade in 19 countries through their online store and 1,400+ bricks-and-mortar locations. The brand is renowned for offering casual, simple style for men, women, teenagers, and children. 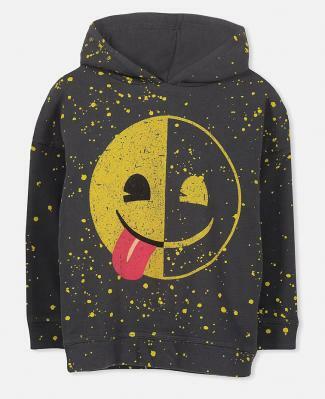 As hipster style can be quite grungy at times, this License Drop Shoulder Hoodie in Phantom/Paint Splatter is a great option for hipster boys to wear with baggy pants during cold weather. You can buy it for $30 in sizes 1 to 10. The hoodie would also work well with these funky Joseph Slouch Pants in Phantom for $35. They come in sizes 1 to 10 and produce a laid-back, effortless aesthetic when you roll up their bottom hems and wear them with sneakers. Boden is a British retailer founded in 1991 with the basic idea to create stylish, good-quality clothes, footwear, and accessories. Even though the brand is designed exclusively in London, England, they also cater to men, women, and children aged 0 to 16 years based in USA, Germany, and Austria. These Chino Shorts in Navy/Salsa Red Skulls are available in sizes 3y to 16y for $38 to $42. You can buy their soft twill design in a range of colorways; however, the grungy skull embroidered versions are ideal for pairing with a button-up shirt on summer days where you need a smart and sharp hipster outfit. Similarly, this Hotchpotch Blue Laundered Shirt will stand out for the right reasons in smart casual situations if you team it with beige or red chinos and glasses for a youthful and color-popping aesthetic. It's presently available in sizes 2y to 12y for $42. 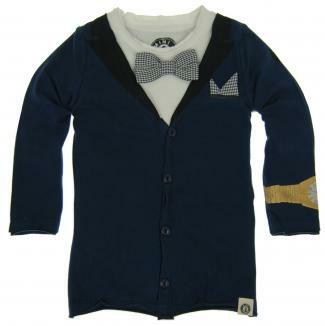 Hipster boys' clothing is cool, unconventional, and can easily be located both online and offline. Shop around and explore the different options available to find fun yet practical ensembles for all your little boy's endeavors.